Five companies today that are looking for qualified candidates in technology, food service, and finance. SITEL – An outsourced customer-care service company that supports some of the world’s best-known brands with customer acquisition, customer care, technical support and social media programs. Currently has 4,000 agent openings, over 150 management positions in addition to at-home opportunities with flexible hours. Announced earlier this month it will add 200 jobs to center in Augusta, GA.
Top Jobs: customer service agents, managers. Hiring in AL, FL, GA, KY, ME, NV, NM, NY, NC, OK, TN, TX & more. Has a Work@Home Solutions™ program that enables experienced customer care professionals to work from the comfort of their home office, regardless of geographic location. A large percentage of Sitel’s executive team, including VPs and SVPs, began as call center agents. GATE GOURMET – The world’s largest independent provider of catering and provisioning services for the airline industry. Plans to hire over 1,000 full-time employees in the U.S. by the end of 2014. Top Jobs: Executive Chefs, Safety, Quality Assurance, Transportation, Customer Service, Food Production, Equipment/Facility Maintenance. The average professional Gate Gourmet employee earns $65,000 a year (hourly positions depend on the city). Hourly employees have access to complimentary hot healthy meals provided around the clock. Joined the 100,000 Jobs Mission this past Spring, and is putting a major focus on recruiting transitioning military and military spouses. Will hire more than 800 people across the US this year. Top Jobs: Management Trainees, Product Management, Marketing, Customer Service, Sales, Account Managers, Merchandisers and Merchant Buyers, Retails Store Management, Technical Advisors. Headquarters are in Miami and has offices, warehouses and or stores in more than 13 states including IL, TX, GA, NC, NJ. Management Trainee salaries start in the mid to high $30s with increases after the rotation is completed, jobs range from $8-10/hour to $100k annually depending on position and experience.  Is a partner to HirePatriots.com and exclusive sponsor of the first South Florida Veterans Job Workshop in July. For more information go to www.Systemax.com (TigerDirect is a subsidy of Systemax). FIREHOUSE SUBS – Fast-casual chain and the only restaurant concept using a steaming method to create hot subs. Currently has more than 1,200 job openings and plan to hire hundreds this year. Top Jobs: Franchisees, general managers and shift leaders. Rated the No. 1 Fast-Food Sandwich by ZAGAT. Founded in 1994 by former firefighting brothers. Restaurants display local memorabilia and images donated by area fire department. EDWARD JONES – Provides financial services for nearly 7 million clients in the U.S. and Canada. Plans to hire 3,000 financial advisors during 2014. Of that, plans to hire 500 individuals with prior military experience. Works very closely with the FORCES program, which is a training and compensation package designed to make the transition to a financial services career more attractive to military veterans. Has been named a Best Company to Work For by Fortune and was ranked by GI Jobs, CivilianJobs.com and Military Times as a military-friendly employer.